Trauma Frequent Questions | Foot & Ankle Associates of Florida What does RICE mean? You may have heard healthcare professionals recommend RICE therapy, either for first aid or injury treatment. But have you ever wondered – what RICE means? RICE is simply an acronym formed by the first letters in rest, ice, compression, and elevation. All four of these components serve a specific function when it comes to caring for injuries like stress fractures and sprained ankles. Rest is important for both preventing further damage to the injured area and also allowing the body to conduct its natural healing processes. Icing the area can reduce inflammation and relieve painful symptoms. Be sure to wrap the ice or ice pack in a thin towel to prevent skin damage. Compression and elevation are both useful for further reduction of inflammation. For more information on RICE therapy, or to learn about other treatment options for foot and ankle conditions, contact Foot & Ankle Associates of Florida by calling us at either 407-339-7759 or 352-589-9550 (for those calling from Lake County). Of course, you can also request your appointment online for any of our five Florida offices—Orlando, Lake Mary, Kissimmee, Altamonte Springs, and Tavares. How long does it take for a broken ankle to heal? The exact amount of time for a broken ankle to heal will depend on a variety of factors (including the severity of the break and your age). We can provide a rough estimate, but it generally takes at least 6 weeks for the broken bones in the ankle to heal. That said, it might take longer for the affected tendons and ligaments to mend. It is important to make an appointment so one of our doctors can do a thorough examination to determine the extent of your injuries. 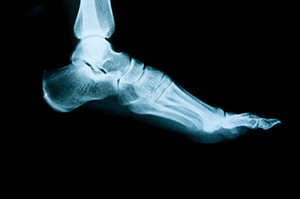 There are several different types of fractures that can happen to an ankle bone. In the best situation, you sustain a simple fracture. Simple fractures are ones where the bones, while broken, are already lined up correctly and will heal in a normal fashion. More complicated breaks will often require surgery, which can affect the length of time for the healing process. 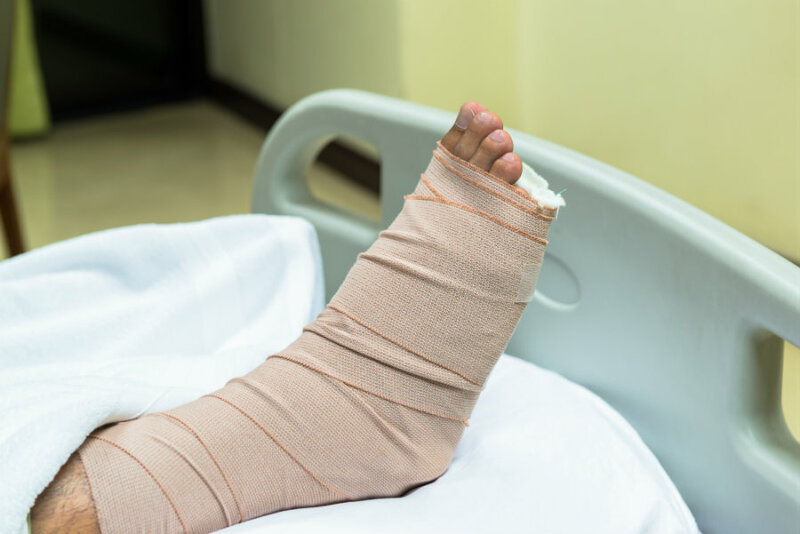 To receive treatment after an ankle injury, or to make an appointment to find out if you have a broken bone, contact Foot & Ankle Associates of Florida. Our staff is ready to help you schedule an appointment with one of our five Florida offices – Lake Mary, Kissimmee, Altamonte Springs, Tavares, and Orlando. Call us at 407-339-7759 or 352-589-9550 (for those calling from Lake County). What is the difference between an acute and chronic injury? Essentially, acute injuries are ones that happen as the result of a singular event. Chronic injuries are caused by overuse. Ankle sprains and compound fractures are examples of acute injuries. Stress fractures and Achilles tendonitis are chronic injuries. When it comes to distinguishing between acute and chronic pain, you can think of acute pain as the normal pain that lets you know when an injury has been sustained. It will usually have a sudden onset and rarely lasts for a long time. The acute pain will become better as the injury heals. Chronic pain, on the other hand, can last for an extended period of time, even years. No matter if you are experiencing acute or chronic pain, you have an issue that needs to be addressed. You can find the effective treatment you need right here at Foot & Ankle Associates of Florida, so give us a call and find out what we can do for you. Either call 407-339-7759 or 352-589-9550 (if you call from Lake County), or request an appointment with any of our five Florida offices—Orlando, Lake Mary, Kissimmee, Altamonte Springs, or Tavares—online right now.